It’s not exactly headline news that we love feedback. It’s our business, after all, and we like it just as much as our clients. Still, it’s great news when the feedback on our SoGoSurvey features is highly positive! 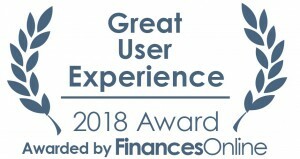 We’re proud to share that FinancesOnline, a popular software directory, has awarded SoGoSurvey two honors: Great User Experience 2018 Award and Rising Star 2018 Award. 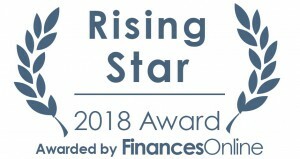 FinancesOnline, which offers businesses insights into a wide variety of SaaS tools in order to simplify the buying experience, aims to make it easier for businesses to find the right partners. With this review, SoGoSurvey is highlighted as among the top 12 most popular survey software options in the marketplace. According to the expert review, “More than questions and answers, the surveys are strategically built to help you engage your participants, build trust, and develop relationships.” In a world where consumer attention is more valuable than gold, it can be tough to keep participants engaged, and the review highlights this strategic engagement as a SoGoSurvey strength. As a result, we were recommended as one of the top survey software alternatives. The review also notes the importance of reporting, saying “Once results are gathered and visible, you can transform them into operable data, thanks to SoGoSurvey’s outstanding reporting modules. Powerful reporting analyzes data in real-time and generates professional, customizable reports with tables, graphs, and charts.” While ease of use is certainly important while designing surveys, it’s often the power of reports that has the biggest impact on users, and we’re glad to see this value highlighted! We’re proud of the work we do, and we do all we can to provide our users with the best possible experience. If you have a review you’d like to share, we’d love to hear from you!